Saudi authorities claim that a teenager who was killed during a protest in Qatif had attacked an army patrol, killing one soldier and injuring another. 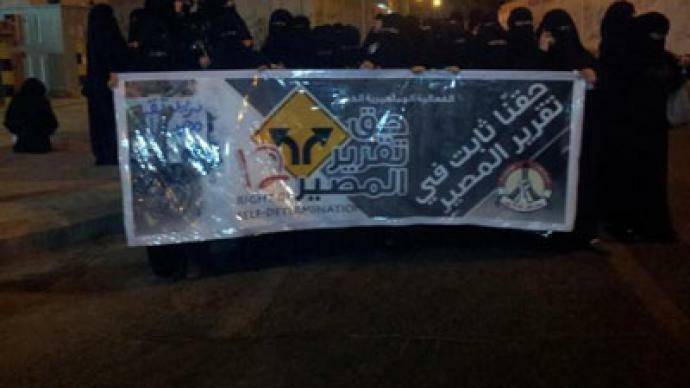 Rights activists, though, say it was part of a violent police crackdown on the Shia minority. 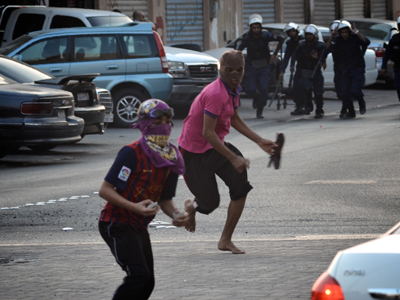 ­According to Saudi Interior Ministry spokesman Mansour Al Turki, the shooting took place after Friday’s demonstration, when a security patrol came under heavy fire from four armed rioters on motorcycles. "A security patrol was exposed to heavy fire from four armed rioters on a motorbike when pausing at a street intersection in Qatif," said Turki, as cited by state news agency SPA. One soldier was killed and another wounded and taken to hospital as a result of the attack, he added. Military patrols managed to arrest the "armed rioters" after a shootout and a short pursuit. One of the gunmen was wounded in the firefight and died on the way to the hospital, authorities said. Turki warned that police would not tolerate "the rioters, especially those who are armed," and would also act against those who support them. With the latest deaths, the number of casualties at protests in the oil-rich eastern Qatif province alone has exceeded 10 since last November. In late July, several people were wounded in Qatif after security forces fired live rounds at demonstrators carrying posters depicting those injured and arrested in earlier protests. Saudi anti-government demonstrators have been calling for an end to discrimination by the state’s Sunni monarchy since last March. 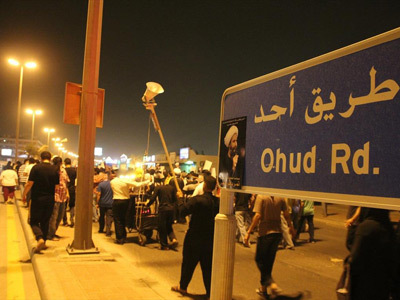 The Qatif province has a large minority of Shia residents, constituting up to ten per cent of the local population. 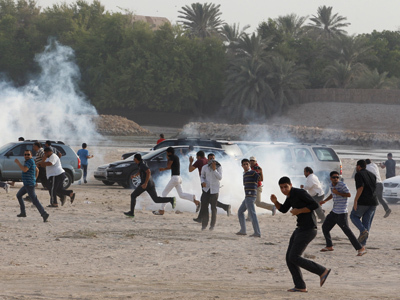 Meanwhile in neighboring Bahrain, dozens of equal rights activists were injured as security forces fired tear gas, stun grenades and birdshot at them. 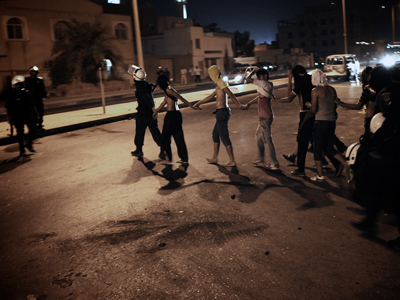 Frequent antigovernment protests have gripped Bahrain since February of 2011. The ongoing uprising by the country’s Shia majority, which claims systematic discrimination on the part of Bahrain’s Sunni monarchy, has weakened after multiple mass arrests. Middle East expert Younes Abouyoub told RT that it is in the interest of the rulers of the Gulf countries to portray the conflicts as sectarian. That way, he says, they can avoid the spread of unrest to other oppressed or marginalized groups. RT: We have seen clashes in Saudi Arabia and Bahrain, with activists accusing the ruling elite of abuses and political arrests. Why has the international community done nothing about it, and the media barely reported on the events in the Gulf nations? Younes Abouyoub: I think it is quite obvious, the reason why. Everybody is focused now on Syria and the hotspots in geopolitics, and the fight between regional powers and also greater powers in the region. So Saudi Arabia and Bahrain, because they are on the side of, let’s say, the strongest part in this conflict, are being shielded from any criticism. They are trying to be portrayed as if there are moderate protests and nothing significant is happening there, which is of course not the truth. RT: Where's the red line that will make the international community take a stand on Bahrain? YA: Well, it’s very hard to say when the international community can react. The international community had a chance to react when the F1 Grand Prix was organized in Bahrain and the protesters and many civil rights activists around the world called for its cancellation, but nothing happened. Unfortunately money and oil and interests go first before human rights. I think what might trigger something is probably when things go sour, probably arms being used and then the conflict gets worse. Maybe in that case the international community will be forced, even if it’s not willing to look towards Bahrain and Saudi Arabia. RT: Prominent Bahraini human rights activist Nabeel Rajab has been in jail for some six months. He was interviewed by Julian Assange on his show broadcast here on RT. Can individuals make a difference, when the international community stays silent? 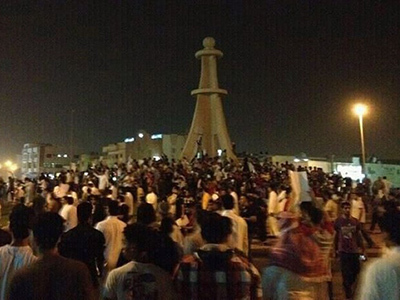 RT: In both Bahrain and Saudi Arabia, the rulers are Sunni and the protesters Shi'ites. Can these sectarian differences be bridged? YA: Well, I think these conflicts or this unrest is always portrayed as sectarian. I’m afraid this is not necessarily 100 per cent true. These people are oppressed, first of all. These countries do not have citizen-based identity. So, people resort to marginal identities like Shia or Sunni or something like that. Of course it is in the interest of the rulers there to portray it as sectarian, so they can avoid the spread of the unrest to other people who are oppressed and marginalized. And they are Sunnis. You can find them in Saudi Arabia, you can find them in Bahrain. And they use this of course in this regional conflict against Iran, to say we are defending the Sunnis against the Shia that are being manipulated and controlled by Iran, which is not true, so far.